Recent research commissioned by University of Leeds found that just 1.6% of packed lunches for primary school children met tough nutritional standards set for their classmates in the school canteen. 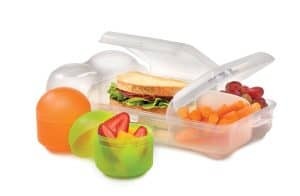 Researchers found that only 1 in 5 lunchboxes contained any vegetables or salad while 52%-60% contained too many sweet or savoury snacks or sugary drinks (42%) leading to high levels of saturated fat, sugar and salt and not enough minerals and vitamins. Packing lunchboxes can be overwhelming and time consuming for busy parents. At Beech Lodge we take the overall health of our pupils very seriously and nutrition obviously plays a big part in all that. I am as guilty as the next overworked, overstressed parent who rams a ham sandwich and a packet of crisps into the lunch box every day. Well time to change that! Here’s to a happier healthier future for our children!